George Harrison forged the most idiosyncratic, artistically stubborn career of any ex-Beatle. After the spectacular success of "All Things Must Pass" (whose glorious, Spectorized production Harrison all but disowned in later years), The Concert for Bangla Desh and some tepid follow-ups on the Fabs' Apple label, Harrison released the half-dozen albums contained in this remastered box set on his Dark Horse imprint. Frequently out-of-print and ever under-appreciated, they remain in many ways his truest musical legacy. Powered by a deceptively breezy compositional sense and impeccably tasteful soloing (his fluid slide work remains some of rock's most lyrically distinctive), Harrison variously mixes biting humor ("This Song" answers his "My Sweet Lord" plagiarism suit with sarcastic jabs), a love of pop history (his Motown tribute "Pure Smokey," covers of Cole Porter's "True Love" and Rudy Clark's obscure "Got My Mind Set On You," which became an unlikely late '80s hit), and ever-present spiritual meditations into an often jazzy musical tack that veered sharply away from his Beatles past. And while that laconic sense occasionally goes unfocused (as on "Gone Troppo"), it came to warm fruition on the triumphant Jeff Lynne collaboration "Cloud Nine." Harrison's past glories are revisited on that album's "When We Was Fab" and elsewhere on unused Beatle-era songs ("Not Guilty," "See Yourself"), as well as his tribute to the fallen John Lennon, "All Those Years Ago," but crucially they are always part of a larger, more forceful perspective. His double-live album from a 1991 tour of Japan with Eric Clapton encapsulates that sense, and is featured here in the SACD format with 5.1 surround sound. Also included is a DVD exclusive to this set, featuring highlight footage from those concerts, interviews, and a slate of Harrison videos. 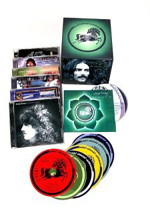 On the cusp of George Harrison’s induction into the Rock ‘n’ Roll Hall of Fame as a solo artist, about half of his back catalog from those years reappeared on compact disc. This set opens with 1976’s 33 & 1/3, and continues with 1979’s George Harrison, 1981’s Somewhere In England, 1982’s Gone Troppo, 1987’s Cloud Nine and 1992’s Live in Japan. At this point you might say, “So what? Isn’t this a DVD site?” And the answer would be, “Yes – this is a DVD site.” I bring up these re-releases because they can be purchased on their own or all together via a boxed set entitled George Harrison: The Dark Horse Years 1976-1992. Fans who decide to nab the latter will find – drumroll, please – an exclusive DVD that shares the same title as the boxed set. So there’s your connection, and the reason I decided to write up this package. Of course, the main reason to drop the big bucks for Horse stems from the music, so I think I should offer a few impressions of that material. George maintained a career as a decent solo performer, but outside of 1970’s excellent All Things Must Pass, he never put out anything I’d call great. In fact, virtually all of them seemed quite spotty. They combined some good material with some real filler. Some were definitely more consistent than others, but George didn’t put out another classic after Pass. 33 & 1/3 definitely seems too uneven to merit status as a classic, with some moderately weak numbers like “Pure Smokey”. However, the overall level of material seems good, and it includes more than a few really strong tune. “Crackerbox Palace” remains a sentimental fave, as it was the first Harrisong I ever liked; I still have the 45 around here somewhere, and the song continues to be quirkily charming. Better still, “This Song” presents the catchiest ode to legal difficulties ever put on vinyl; connected to the lawsuit George endured over his alleged plagiarism of “He’s So Fine”, “This Song” bounces along in a perversely merry tenor and absolutely delights. These moments help make 33 & 1/3 a solid album. With George Harrison, we get exactly half of a very good release. Except for the limp “Soft-Hearted Hana”, all five of the tunes that originally filled the LP’s Side One provide quality material. Starting with the toothless “Faster”, though, the old Side Two works substantially less well. Only “If You Believe” stands out as a decent tune; the other tracks come across as throwaways. The five good numbers succeed well enough to make the album generally winning, but it seems awfully inconsistent. Compared to Somewhere In England, however, George Harrison provides a classic. Probably the weakest of the five original albums in this package, England suffers from an excess of filler. For the better tracks, we find “All Those Years Ago”, George’s curiously peppy ode to his lost pal John. (On 1982’s Tug of War, McCartney took a more somber approach to the subject via “Here Today”; “Years” offers the superior tune, but “Today” seems more appropriate.) Otherwise, despite a couple of passable tracks like “Blood from a Clone” and “That Which I Have Lost”, this album doesn’t do much for me. Note that England provides a cover new to us. Apparently this release’s visual look shows what George originally intended us to see. 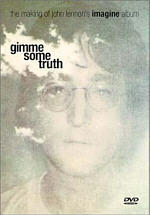 He was persuaded to alter it, though, so the original album displayed the more familiar shot of George as he apparently lies on the sidewalk. Frankly, I greatly prefer that art to this one’s trippy portrait of Harrison; it’s an ugly cover. A commercial flop, Gone Troppo rebounds mildly in the creative realm after the disappointing England. Make no mistake: Troppo provides slight pleasures, and it definitely doesn’t compare to George’s best material. However, it infuses his work with a nice spirit of fun, and a few nice tunes emerge as well. First heard during the end credits of Time Bandits, “Dream Away” provides the album’s standout track; it provides a wonderfully charming and peppy effort. Despite some very dated production, “Wake Up My Love” almost rocks, and “That’s the Way It Goes” seems reasonably affable and memorable. The rest of the album varies from decent to forgettable, but at least George sounds like he’s having fun for the first time in a while. George wouldn’t put out another album for five years, which seemed like an eternity back then. Cloud Nine emerged as a surprise smash; fueled by the left-field hit “Got My Mind Set On You”, the album re-established George as a commercial force in the public eye. It seems fashionable to slam Nine, mainly due to the signature production of Jeff Lynne. The former ELO leader’s stamp makes all of the albums he produces sound a fair amount alike, and he does tend to overwhelm the individual artists to a degree. Nonetheless, he must have done something to connect with Harrison, for Nine easily provides his strongest work since 33 & 1/3. Actually, one could argue that pound for pound, it fares even better. I’ll still take the 1976 release, but Nine rarely falters. Only “Breath Away from Heaven” leaves me cold; the other 10 tracks seem good to very good. Nothing truly exceptional appears, and that’s why I continue to give 33 & 1/3 the nod; it includes a couple of classics, and that balances the lesser numbers. Nine features some fine tracks but none that qualify as great ones, so it remains a consistently positive album but nothing to rival All Things Must Pass. For the final album in this set, we check out selections from Harrison’s 1991 tour on Live in Japan. The release spans a few eras of George’s career. If we count his cover of “Roll Over Beethoven”, we get nine tracks from his Beatle years, and we find five from the first half of the Seventies. The late Eighties offers four tracks as well. Only one of the 19 songs – “All Those Years Ago” – comes from the period between 1975 and 1987, though. It’s a minor shame George ignored so much of his Dark Horse period, but the set still seems nicely balanced. To be sure, it’s hard to quibble with many of the selections. I could live without “Piggies” and “Beethoven”, but the other Beatle choices are all winners. I’d also prefer something like “Blow Away” or “This Song” over the throwaway “Cheer Down”, but I do like the fact that George didn’t ignore his then fairly current material; this kept the show from turning into a simple nostalgia act, as George reminded us of modern glories. The various early Seventies numbers all fit well. The biggest complaint I level at Japan stems from the moderately sterile feel of the whole thing. The performances come across as real – we hear occasional mistakes, like a premature guitar note at the start of “Got My Mind Set On You” - but the project simply lacks a tremendous spark. Nonetheless, the band renders the songs well and makes them consistently decent. Harrison works with Eric Clapton and his regular band, and it’s unquestionably intriguing to hear Harrison duel with Slowhand on guitar. Something about it remains a bit bland, though. None of the renditions surpass the original studio cuts. I like the idea of Japan but think it sounds better on paper than in reality; it’s an average live release that never excels. As for the DVD itself, it splits into four domains. Dark Horse Feature presents a short program that runs nine minutes and 47 seconds. George talks a little about why he started Dark Horse and gives some quick notes about his solo material and his career. He also discusses why he toured Japan and tosses out a few other tidbits. He displays his wry sense of humor and makes this a fairly interesting piece, but don’t expect much from it. Still, we get some decent archival clips, though we’ll find most of them elsewhere in this package. Videos includes seven videos for six songs. We get two versions of Cloud Nine’s surprise hit “Got My Mind Set On You” plus one video each for that album’s “When We Was Fab” and “This Is Love”, 33 1/3’s “This Song” and “Crackerbox Palace”, and George Harrison’s “Faster”. Packaged together, these bits fill 34 minutes and 45 seconds. I don’t think many people consider George to be a purveyor of fine music videos, but most of the ones here seem pretty solid. “This Song” offers his sardonic take on his legal difficulties of the era; George went to court for plagiarism and lost, as the judge decided he’d unconsciously ripped off “He’s So Fine” for “My Sweet Lord”. The video’s funny and clever. “Crackerbox Palace” seems a little self-consciously wacky, but it’s hard not to enjoy a video that shows George in a schoolboy uniform while he picks his nose. It also offers a nice look at George’s estate. The weakest song of the bunch, “Faster” also provides the worst video. It intercuts shots of George while he strums and lip-synchs along with many images of Formula One racing. It’s not an interesting presentation. Both versions of “Got My Mind Set On You” are decent, but the first one’s the less interesting. It shows a teen boy and girl at a carnival; he tries to impress her by winning a prize, and she watches George and company play the song on an old nickelodeon. Most people remember version two, and it’s easily the superior clip. That one shows George as he lounges and lip-synchs, with plenty of wackiness around him; inanimate objects come to life, a stuffed squirrel plays sax, and George himself appears to do a backflip and dance. It’s a blast. Similar feelings greet the clever and fun “When We Was Fab”. The clip plays up the song’s Beatle orientation. 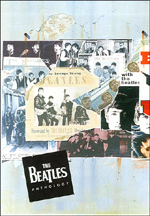 It features Ringo – who plays on the tune – and even briefly shows George in Sgt. Pepper style garb. It’s an enjoyable video. Unfortunately, the final clip – “This Is Love” – feels pretty dull. It mostly shows George as he lip-synchs in a tropical setting, and it doesn’t create anything terribly interesting. Still, four very fun videos, one decent one, and two duds remains a pretty good batting average. When we check out Selections from Live in Japan, we find four songs. “Cheer Down” comes from the Lethal Weapon 2 soundtrack – as well as Best of Dark Horse - while “Devil’s Radio” and “Cloud Nine” both emanate off of Cloud Nine. Finally, “Taxman” first appeared on the Beatles’ 1966 classic Revolver. All together, these four tracks last 20 minutes and 10 seconds. Very few of us ever saw George play live as a solo artist. He did this short tour of Japan and also crossed America in 1974, but that was it. Since I didn’t take in one of his live shows, I can’t say for sure, but I imagine he was probably a fairly dull live performer. You won’t find anything in the Japan snippets to alter that viewpoint. As I noted when I discussed the CD, George and company performed the music well, and that quality remains in the video segments. However, there’s just not a lot of visual spark on stage. It was a low-key show, and that’s fine. I still dearly wish I’d had the chance to see George live, and it’s fun to watch these snippets. Just don’t expect anything scintillating. Finally, Selections from the Movie Shanghai Surprise presents three tracks that originated with that 1986 dud: “Shanghai Surprise”, “Someplace Else”, and “Hottest Gong in Town”. These fill nine minutes, 49 seconds. Don’t expect anything much from these clips. “Shanghai” alternates music clips with shots from the recording studio. “Else” mostly works the same way, though it also includes some images from the set. “Gong” is a little more interesting, just because it provides a cameo from George in the film. We see him on the set and also via movie snippets. Note that all the running times include introductions from Harrison. You can turn these on or off, and the programs will obviously be shorter without them. George discusses a mix of subjects. He talks about his court experiences with “My Sweet Lord”, his interest in racing, where he first heard “Got My Mind Set on You”, the origins of “When We Was Fab”, playing with Ringo, his experiences with Shanghai, and a mix of other issues. These remarks help flesh out the piece and offer some nice notes. Overall, the DVD seems like a nice piece. It offers some nice videos and a few other interesting clips. The DVD functions as a nice complement to the collection of music found in this set. 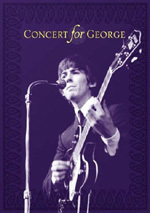 George Harrison: The Dark Horse Years appears in an aspect ratio of 1.33:1 on this single-sided, single-layered DVD; due to those dimensions, the image has not been enhanced for 16X9 televisions. Overall, the clips looked moderately weak, but they seemed pretty average for music videos of their vintage. Sharpness appeared moderately weak. Many of the clips looked fairly soft and indistinct. Focus didn’t come across as atrocious, but the clips usually displayed some gauzy and hazy images. Jagged edges and moiré effects remained minor, but edge enhancement slightly marred many of the videos. Minor source defects showed up for some of the clips even after the first pair, but these didn’t offer significant concerns; some marks and grit appeared but not much else. Colors tended to appear a bit murky and loose. The tones depended on the visual styling of the videos, but even when I considered those constraints, the hues generally were too muddy and messy. The Japan clips looked the best, but even they were a little iffy, as colored lighting seemed a little runny. Black levels looked reasonably dense, though they sometimes demonstrated inky qualities. Shadow detail was acceptably distinct but not any better than average. Overall, the videos looked decent for their age and medium, but they weren’t any better than that. Despite the mix of eras heard on these DVDs, the PCM stereo audio of Horse seemed consistently positive. The stereo imaging always appeared well defined. The vocals remained nicely centered, while instruments popped up in logical places within the spectrum. All of these blended together well and accurately represented the original production. The songs also mostly sounded like the recordings. That might not sound like much of a feat, but I’ve heard enough music video collections with sound that fell below CD level to know that it isn’t a given. For the most part, Horse presented the music as original taped. The songs appeared appropriately clean highs, with smooth and natural vocals. Most elements sounded well reproduced, and the package largely enjoyed very nice bass response. This varied a bit during the Japan elements, which displayed slightly loose low-end. The interview segments appeared monaural, and they showed some minor flaws. Mostly that stemmed from excessively bass-heavy speech from George at times. I always understood what he said, but his statements didn’t sound terribly natural. The quality of Shanghai Surprise’s “Someplace Else” and “Gong” also were essentially monaural and not as distinctive as the other songs. They clearly came from lesser sources, and they featured some comments from George as they ran. Despite these exceptions, though, overall I thought the tunes seemed clear and accurate, and I felt pleased with their reproduction here. I decided not to award a grade to the extras of Dark Horse Years, mostly because the DVD itself is basically a supplement. Still, there are a few components I thought I should discuss in this area. For one, each album except for Japan comes with some bonus tracks. We get one per CD except for Cloud Nine, which includes two. Many of these are demo versions of tunes, and the two Cloud Nine tracks present songs George did for the soundtrack to Shanghai Surprise. In addition, the set presents a nice CD-sized hardback booklet. This houses the DVD and also presents a history of the Dark Horse record label, its logo, and some other elements. It includes a modicum of good information. Taken as a whole, The Dark Horse Years provides a nice package. It combines five studio albums with a live recording and a DVD filled with videos and other content. The material seems fairly erratic, as George’s Dark Horse output varied from excellent to quite forgettable, but overall the set includes a lot of good work. The DVD suffers from pretty mediocre visual quality, though most of the concerns related to the source material. Audio was good, and the DVD includes a nice package of videos and other clips. I like The Dark Horse Years and feel happy to own it, but it clearly will appeal to a limited audience. With a list price of $132.98, it doesn’t come cheaply; if you purchase the albums separately, they come to $124.88. That means the DVD and booklet won’t cost you much – if you want to own all six albums. That’s the big caveat. For Harrison fans, it’s a nice set and a decent bargain; clearly the DVD and booklet are worth $8.10. However, if you don’t crave all of the albums, then the package becomes an iffier proposition. I like the DVD, but it’s not something that’s worth a substantial expense. For those with the desire to own a solid package of George Harrison material, The Dark Horse Years merits a look, but it’s probably best left for the biggest fans.